During the school year I like to eat quick and easy items for breakfast. I often eat 2 pieces of toast in the school cafeteria or I grab a yogurt with homemade granola from home. I don’t make much of a production because I don’t have a lot of time. However, summertime is different because I don’t have to rush around in the morning. I still don’t like a big breakfast but I have time to make something a little more substantial. So when I found out that today’s Sunday Supper theme was waffles I thought I could whip something up. Then I remembered that I didn’t have a waffle iron any more. 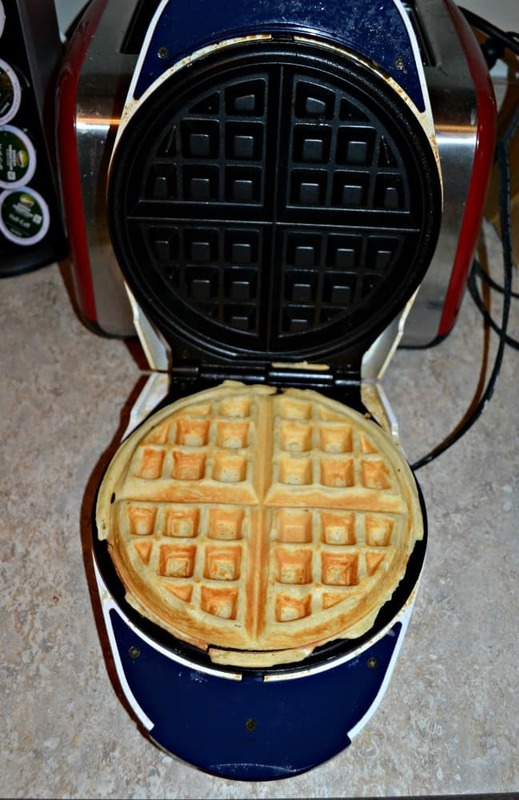 When we moved 3 years ago I pitched my old waffle maker because it was looking pretty gross, we rarely made waffles, and I paid $5.00 for it. So I didn’t feel too bad about throwing it away. I still wanted to participate though but I didn’t want to buy another waffle iron as I just cleaned out the pantry and my kitchen cupboards. So I asked my friend Adrienne if she had one and if so could I borrow it. With 4 children I figured she had to have one and I was right. She brought it to me so I could make some tasty waffles for this week. Since I still had 3 pounds left of the 5 pounds of strawberries I picked a week or so ago I immediately went with a strawberry waffle. 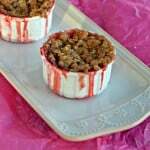 I whipped up a strawberry batter but I did not like the way it turned out. 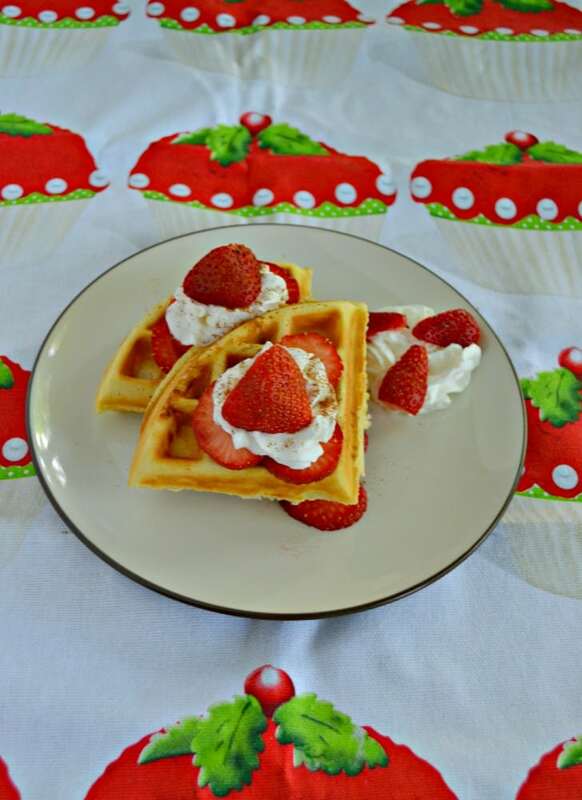 On the second try I whipped up vanilla waffles then topped them with fresh strawberries. This was a much better attempt. They looked a little like strawberry shortcake so that’s what I went for. I ended up using the vanilla waffles and topped them with fresh strawberries, a touch of syrup, and fresh cinnamon whipped cream. 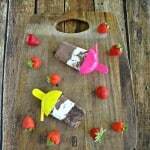 They were super easy to make and tasted so good. 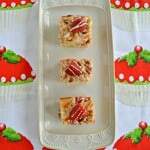 I really like something sweet in the morning for breakfast so these were perfect. I’ll be honest though, they would also make a great dessert. The cinnamon whipped cream really adds a nice bit a spice to the sweetness of the waffles. 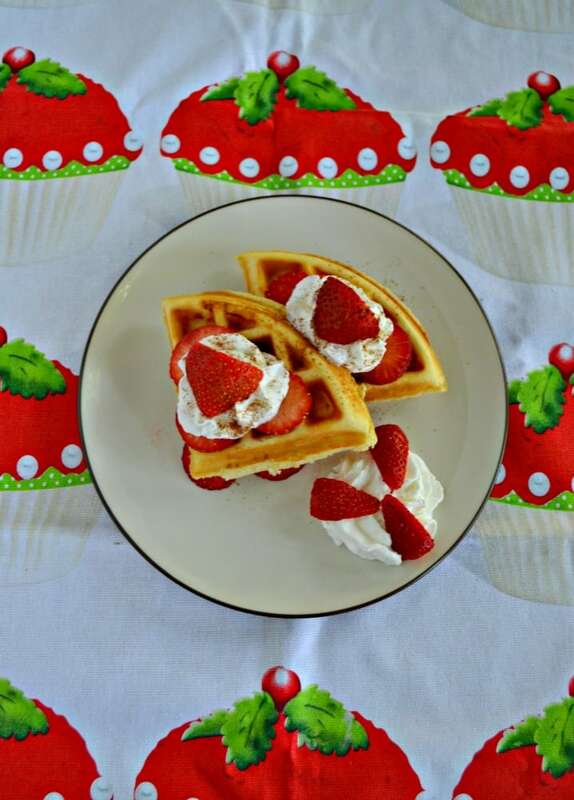 Try a crisp vanilla waffle topped with fresh strawberry and a cinnamon flavored whipped cream. 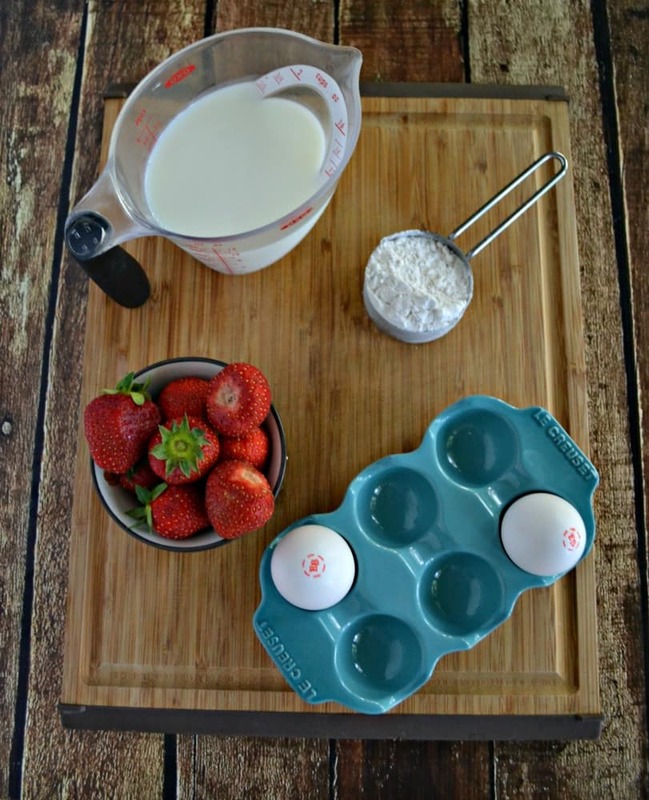 In a large bowl whisk together the eggs, milk, and vanilla. Whisk until combined. In a medium bowl combine the baking powder, sugar, salt, cinnamon, and flour. Add the flour mixture to the egg mixture and whisk until mostly smooth. Whisk in the vegetable oil. Heat a waffle iron. 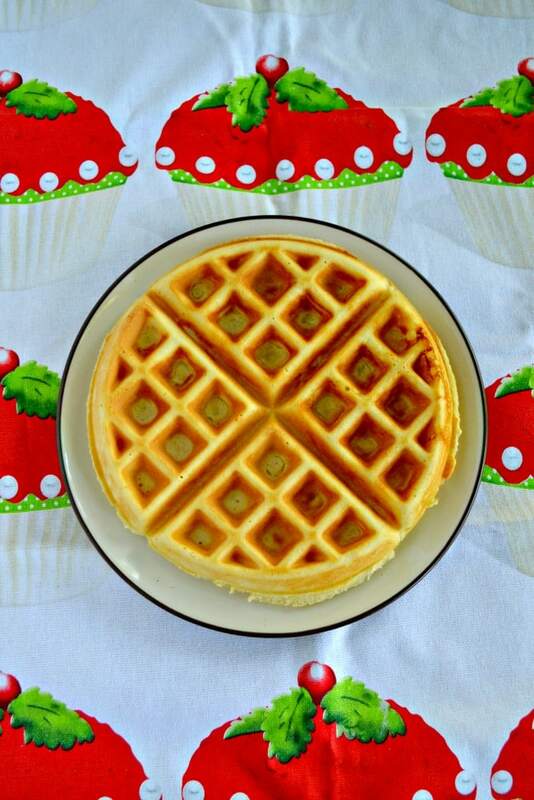 Pour ½ cup of batter into the waffle iron and close it. Cook for 3-4 minutes or until the indicator light turns off to signal the waffle is finished. Repeat for remaining 3 waffles. To make the fresh cinnamon whipped cream pour the heavy whipping cream into a chilled metal bowl. Using a mixer on medium high speed mix until the cream begins thickening. Add the cinnamon and sugar and continue mixing until thick. Break the waffles into 4 pieces. 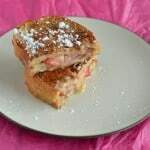 Place 2 or 3 waffle quarter on a plate and layer with strawberries, syrup, and fresh cinnamon whipped cream. Enjoy hot. 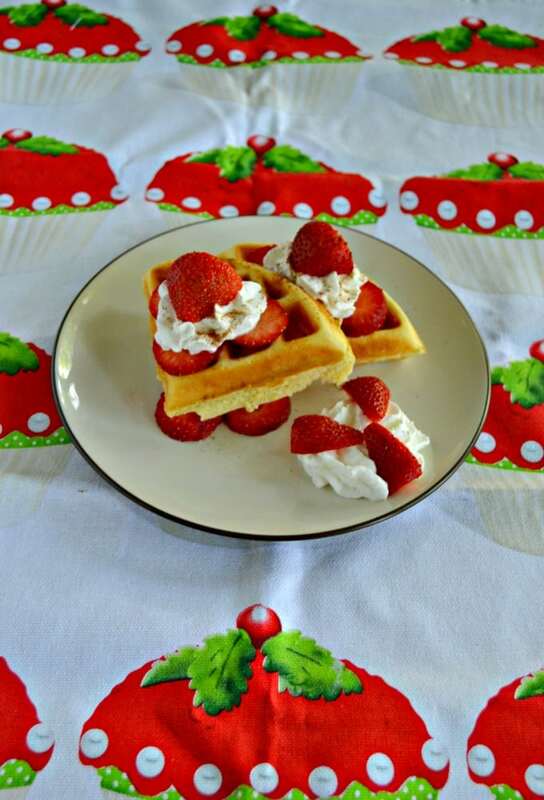 I love waffles with berries and fresh whipped cream! The cinnamon is a nice touch, I’ll have to try that next time! I’m off summers for the most part and not rushing breakfast is a luxury I can enjoy with these beauties! We were on the same wavelength today! I love berries over my pancakes and waffles—so yummy!